One Random Single a Day #82: “Man With Guitar” (2003) by Man With Guitar | Films Like Dreams, Etc. I sure was surprised when I pressed play on a track called “Man With Guitar” by an artist called Man With Guitar – only to realize that this was an entirely electronic track with nary a guitar in sight. 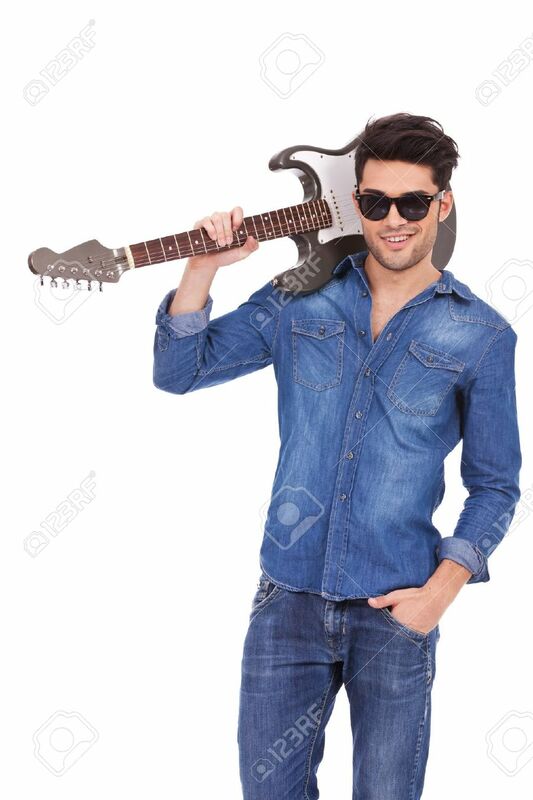 And lemme tell you, this guy was an absolute pain to research – just finding the above single cover image resulted in a mass sifting through a whole bunch of stock photos like this, this, and this. Once I uncovered the name of the person behind the project, though, it was a bit easier to handle. 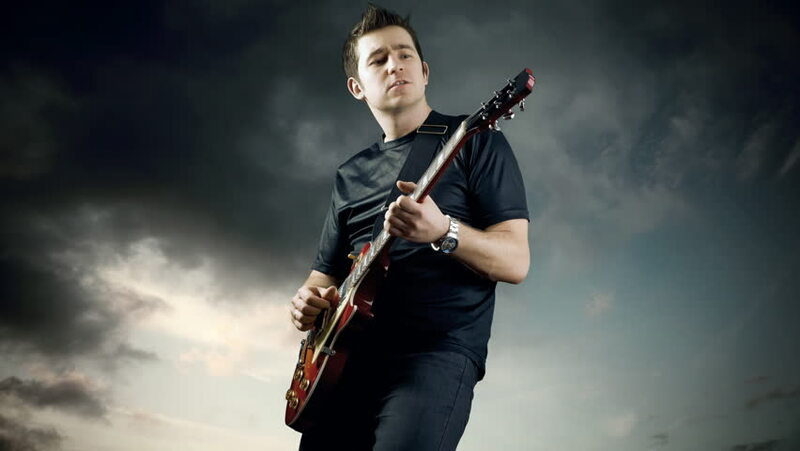 Stuart Price is a British electronic musician and producer and is actually a pretty influential figure in such fields, having worked with artists like Madonna, Pet Shop Boys, The Killers, and Kylie Minogue (among others). He has won three Grammys for his production work, his latest being for Madonna’s phenomenal dance album Confessions of a Dance Floor. He has released his work under several monikers, including Thin White Duke, Les Rythmes Digitales, Jacques Lu Cont, and as part of the band Zoot Woman. Oh, and Man With Guitar as well. As far as I can tell, “Man With Guitar” seems to be the only official single released by Price under the Man With Guitar name. The only other track I’ve found on Spotify is a remix he did of Madonna’s “Sorry” (which is actually a pretty cool remix, if I say so myself!). As I mentioned, the names are misleading – there is no guitar on this, and the record makes this perfectly clear by beginning with a string of multi-layered, rhythmic electronic handclaps, following by a spacey synth sound that fades in and out with the tempo. As the 4/4 rhythm and the prominent bass riff makes itself known, the house structure of this track becomes easy to see. As I mentioned before, I’m relatively oblivious when it comes to critiquing house tracks, but one of the major things I ask myself is whether or not such a record makes me want to dance. After all, house music was made to be played loudly in a club setting, so it’s only natural that the recording should make me want to move my feet. For some reason, though, I don’t really get such a vibe here. Sure, the rhythm is pretty tight and the bass riff is funky enough to hold the rest of the track’s constant layering of sounds from start to finish. But this seems more like something to listen to and less like something to dance to, for some reason. Even when the track is at its absolute peak, with the bass and hi-hats and synths making their presences very well known, there still seems to be a noticeable amount of empty space present – as if there’s something missing that should have been spliced into the final cut to really make this track kick. As it stands, while I can’t call it an unpleasant listen by any stretch of the imagination, it is still extremely underwhelming and I can’t see myself hankering to revisit it anytime soon. This entry was posted in Uncategorized and tagged 2000's, 2003, British, Man With Guitar, One Random Single a Day. Bookmark the permalink.